I mentioned a few days ago that I was doing the month long nail challenge, so here goes. 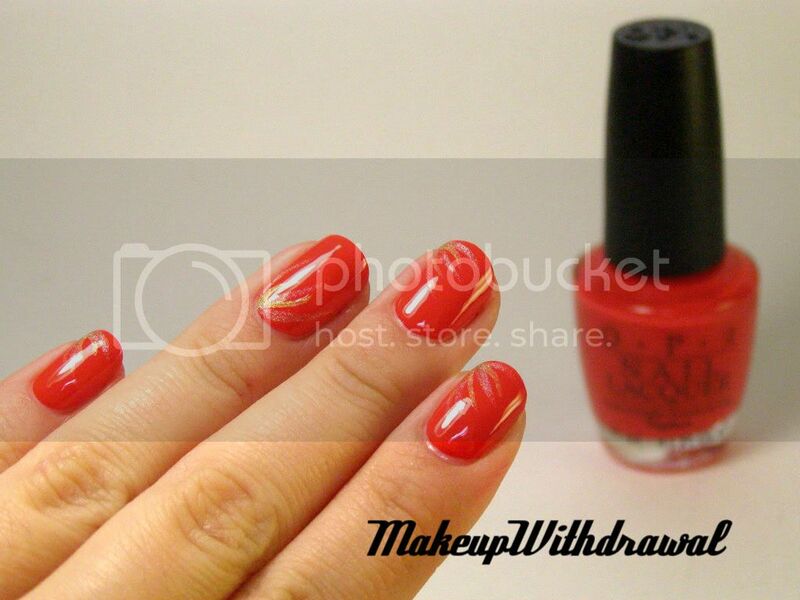 I used OPI MonSooner Than Later which is one of my all time favorite reds. It's that red-orange shade that everyone was sportin' as their red lipstick shade of choice in the 80s. I then used China Glaze GR8 and Sally Hansen Nail Prisms Diamond to add accents. I haven't done accents in a while, so they're not super fabulous. My friend Vina in cosmetology school did the best little flared accents, this makes me miss her. I sincerely hope that all of you have a fantastic 2012, enjoy good health, happiness and success in all your relationships and endeavors!